Edit Brand Glamour Coloured Contact Lenses alter the colour of your eyes to create stunning, natural looking eyes that will make a real statement. 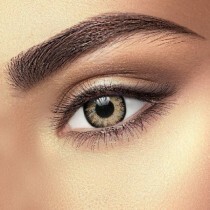 They overlay your natural eye colour with three different shades of colours, to create a beautiful and defined finish. These lenses will add a touch of glamour to any outfit, making for a real show stopping appearance! Light and soft, these lenses will remain fresh, hydrated and comfortable all day long.